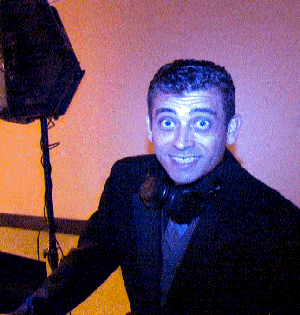 DJ Weyne has been a Wedding and Event DJ since 2001. Weyne Specializes in Brazilian Weddings but does also speak fluent English. Weyne has been in the music and Entertainment field since 12 years of age, while helping his stepfather with a mobile DJ company in Brazil. Weyne has a definite love for music as he has played in several bands after moving to New jersey in 1996. Weyne joined Elegant Entertainment in 2006 and we are happy to have Weyne as one of our staff and valued professionals. Weyne has the experience and professionalism you would come to expect in a DJ. Although Weyne specializes in latin events, he is also excellent with any kind of event or party, Birthday's, Corporate Events, Quinceanara's, Anniveraries, Weddings and many others.